SomerBaby is a free and voluntary community program to welcome new babies to Somerville! SomerBaby provides new parents with information and support when a baby is born. 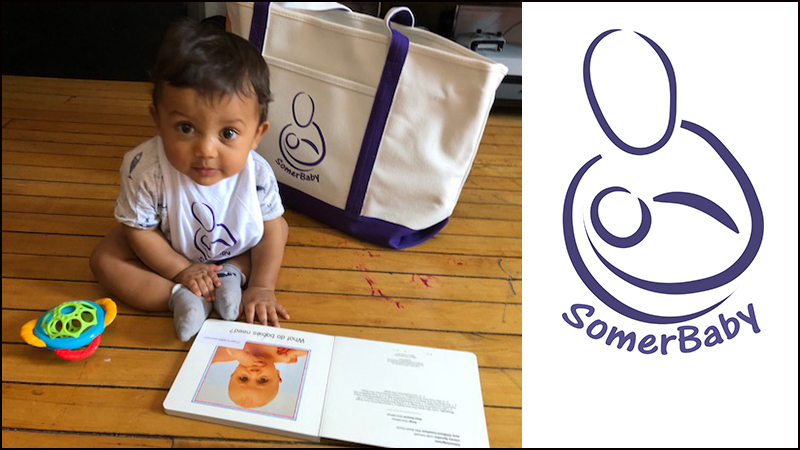 Each SomerBaby family receives a Welcome Baby Bag, a single home visit from a community liaison, a visiting nurse (if requested), information and support on breastfeeding, home safety information, and referrals to additional resources. Each Welcome Baby Bag includes: information in multiple languages about local groups and resources for babies and their families, a handmade blanket, a nursery care and safety kit, a book, a toy and more! In addition to receiving a Welcome Baby Bag, families will receive a follow-up phone call to connect them with additional resources. Nomi Davidson (English) at (617)625-6600 x6966. SomerBaby is sponsored by the Somerville Family Learning Collaborative of the Somerville Public Schools and SomerPromise of the Somerville Department of Health and Human Services. With support from Kiwanis Club of Somerville.